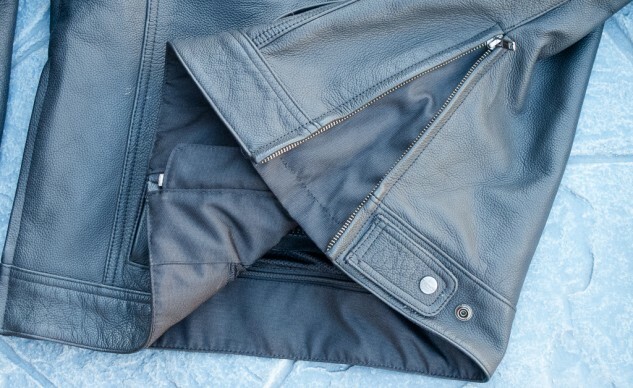 When looking for a classically styled leather motorcycle jacket, you have to wade through an overabundance of bomber jackets. While they may be cool, they’ve become almost a-dime-a-dozen in the cruiser world. 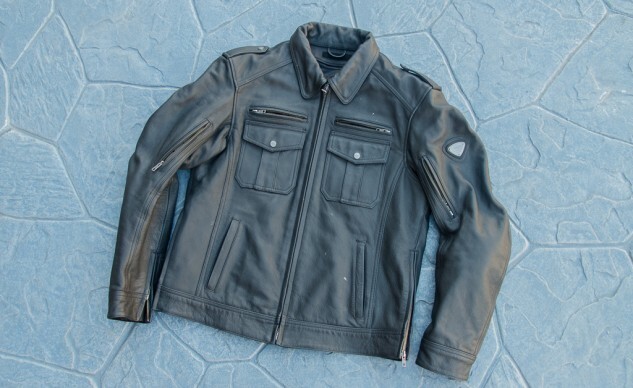 However, a vintage-styled motorcycle cop jacket carries much of the same period feeling (it even has epaulets) and will be fairly unique out on the road. The Triumph Patrol Jacket is a good antidote for the run-of-the-mill bomber jacket. The Patrol Jacket is constructed of sturdy 1.2-1.4mm cowhide and has the substantive weight of a purpose-built motorcycle jacket, not one of those lightweight fashion knockoffs of classic motorcycle gear. The major seams are double-stitched for abrasion and impact resistance. CE-certified Knox armor is tucked away in pockets on the shoulders and elbows to protect your corners in a tumble. A rear pocket provides a space for a back protector. Although Triumph doesn’t offer one on its website, I found that the back protector from my Icon Citadel jacket fits just fine, and other companys’ pads may work, too. The Triumph Patrol Jacket with its black leather motor-cop styling is timeless and cool. 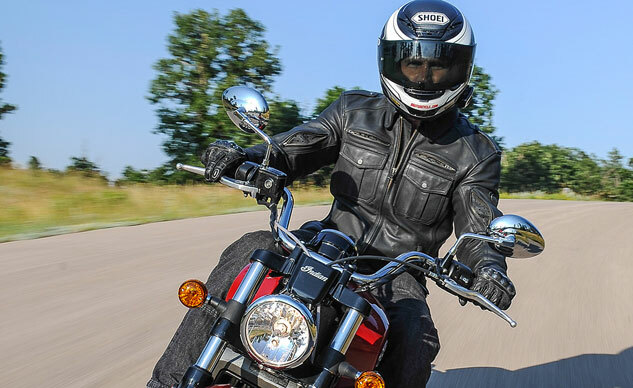 Pre-curved sleeves and expansion panels under the arms add to riding comfort. Looking past the protective element, the Patrol Jacket offers comfort features like two zippered vents in the upper chest and another pair on the inside of the upper arms. Airflow is handled in the rear via a horizontal zippered vent across the upper back and perforations in the underarms. Venting from these openings is adequate for hot weather riding, but you’ll still want to lower the front zipper in truly hot weather. If the temperature drops, the removable, compactly stored quilted vest liner adds a bit of warmth, though not as much as with full-sleeve liners. 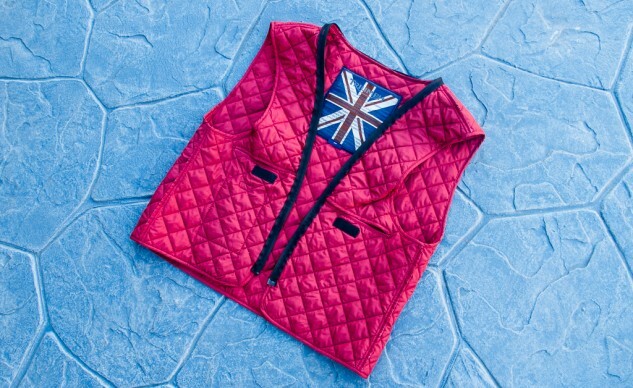 This liner packs away nicely, but being only a vest limits its effectiveness when the weather gets really cold. 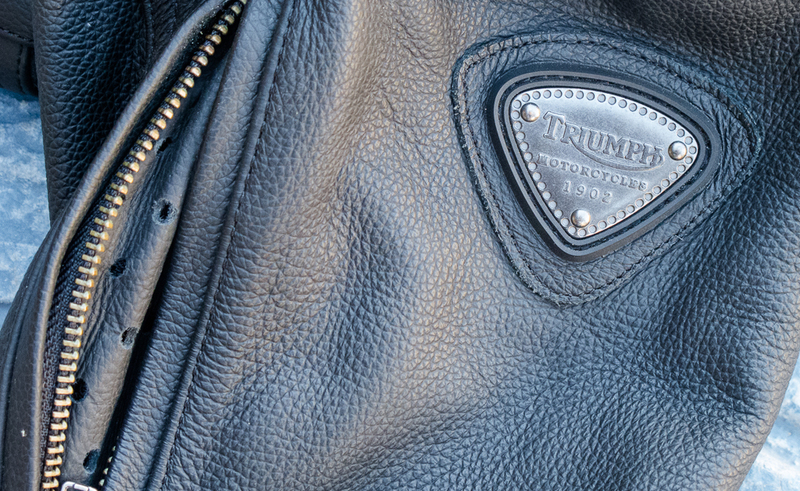 One thing this Triumph jacket has is pockets. The four exterior pockets are divided between a pair of snapped chest pockets that are great for holding papers and a couple credit cards but not much else. They look the classically styled part, though. The zippered hand warmer pockets have a soft fabric interior and a bit more storage space. The jacket interior has two more zippered chest pockets, offering a practical place to store a smartphone or other necessities. The quilted liner offers slots for accessing the interior chest pockets plus an additional pocket that would have easily fit a phone or an iPod before our devices hit iPhone 5 dimensions. Finally, there’s a zippered pocket at the lower rear of the jacket interior that can store the neatly folded liner when it’s not needed. The jacket’s waist has size adjustment options for both looser and snugger. While most OEM-branded motorcycle gear has the company’s logos emblazoned across the larger panels, the Triumph leaves the logos to the snaps and these tasteful medallions on the sleeves. Folks who don’t own Triumphs or own more than one brand bike can happily use this jacket without feeling too conspicuous. I’ve logged hundreds of miles in this jacket from spring to fall and have found it to be a great riding companion. Given its look, I wear it when riding cruisers or classically styled bikes. Yes, it can get a little toasty in stop-and-go traffic on a summer day in the San Fernando Valley, but that’s what shorty gloves and the jacket’s zippered wrist closures are for. If you’re in the market for a stout, stylish black S-XXXL leather jacket, you should take a look at this one. The price has dropped to $399.99, making it a pretty good deal. See your local Triumph dealer or try Triumph’s apparel website.